Few people are aware of the many rock-climbing challenges Namibia has to offer. As hikers and climbers discover ever-more areas, the sport is becoming increasingly popular, both with locals and with visitors from abroad. The Spitzkoppe, at 1,728 metres, was first ascended in 1946. Since then it has attracted hundreds of climbers every year. As one of Namibia’s most recognisable landmarks, and often referred to by climbers as the Matterhorn of Africa, the Spitzkoppe rises above the dusty pre-Namib plains of southern Damaraland as if out of a mirage. 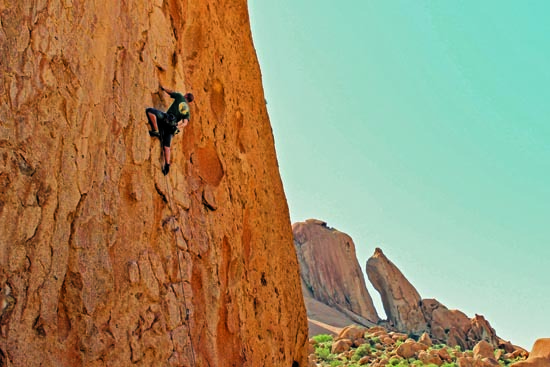 Considered a climber’s paradise, the Spitzkoppe and surrounding areas – including the Pondok [also spelt Pontok] Mountains (because they resemble the rounded Damara huts called pondoks) – boasts over 30 natural and 30 sport climbs. Sport climbing entails routes that are secured with bolts, whereas natural climbing involves unsecured climbing techniques or ‘free climbing’. In Namibia, climbing routes are rated in accordance with the Ewbank system as measured in technical difficulty, exposure to the climber, length, quality of rock, protection and other smaller components – the higher the rating, the more difficult the route. Popular climbs in the Spitzkoppe surrounds include the route Goldfinger on Rhino Horn, a very sought-after climb that is well bolted. The South West Wall is home to many popular routes such as Watersports, the South West Wall Route, INXS and Herero Arch. Then there’s Nothing in Moderation, a route Alex Honnald (a popular American rock climber best known for his free solo ascents of big walls) free soloed in September 2013. Along the highest peak of the Pondok Mountains – Pondok Spitz – you’ll find the route To Bolt or Not To Bolt, a five-star climb that’s not excessively difficult. Sugarloaf Mountain also has great bolted routes. A guidebook entitled Spitzkoppe and Pontoks Namibia by Eckhardt Haber contains all the route information of the area. To date the highest peak of the Spitzkoppe has been reached by climbers more than 600 times. Members of Namibia’s rock-climbing community form part of the MCSA (Mountain Club of South Africa), which has a Namibian charter. The club facilitates and engages in mountaineering, climbing of all types including boulder climbing, hiking, international expeditions, mountain search and rescue, training, the conservation of mountain areas, and the procurement of access for mountaineering. 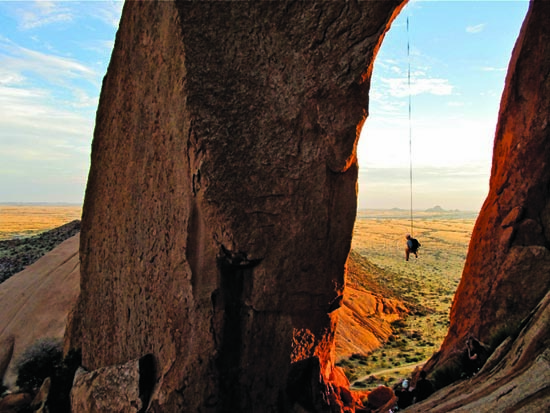 Although the Spitzkoppe surroundings are considered to be the most popular climbing destination in Namibia, there are many other areas for climbers, including Omandumba in the Erongo Mountains, Aussenkehr on the southern border of Namibia and the Midgard country estate, 90 km north-east of Windhoek. There are a few climbing areas within 20 km of Windhoek, but these are usually on privately-owned property where the right of admission is reserved. The climbing company, Urban Friction, facilitates climbs in popular spots throughout Namibia. No experience is needed to join these climbing tours, and they are open to everybody, from amateurs to professionals. 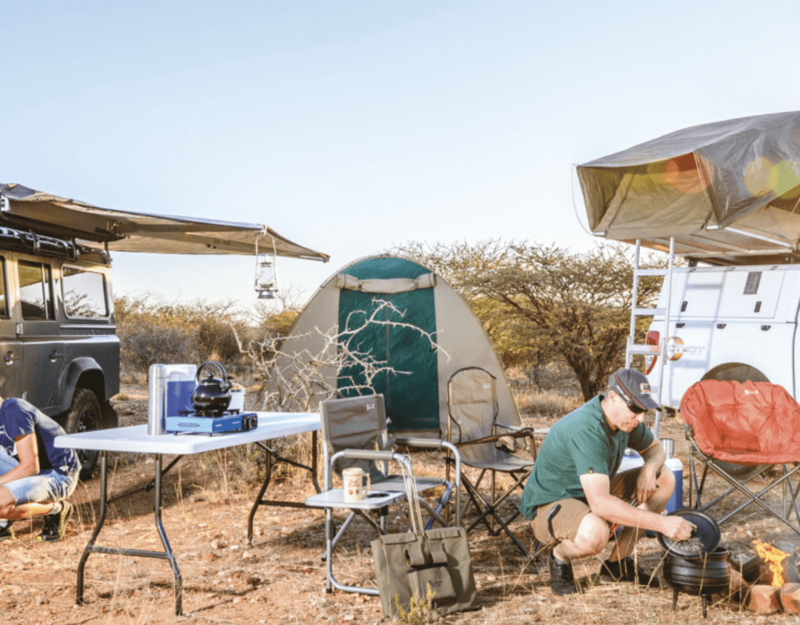 MCSA Namibia hosts regular outings to Spitzkoppe during winter. Dates for scheduled climbs can be found on the website MCSA Namibia: www.mcnam.org.